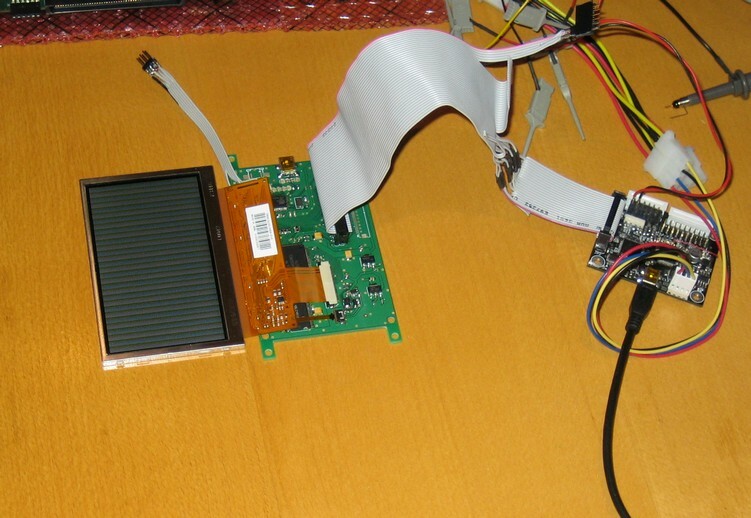 Here is a little experiment made with a fast SPI interface to a 480x272 TFT display. This picture shows the test setup used to test with a 30 MHz SPI bit rate which is the maximum supported by the NXP LPC214x microcontroller used on the SPI master board (USB13700 board with it's GPIO API). Currently this was just a quick experiment about fast SPI interface but if there is interest in this kind device and it might be useful let me know and more effort can be put into it. Is this available for sale now ?? Presently working with other color cell phone lcds..
Like it was mentioned in the first post this was currently more an experiment and so there are no final units ready for sale at the moment. But I also wrote that the development effort currently planned to this project is also dependent of how much interested users there might be for this so if you would like to buy a board with it's current firmware to play with it should be possible to build it for you. You can send me email and we can discuss about this. I am interested in purchasing SPI043 board. But i also want to know whether do u have any other board interfaced with a 3.5 inch LCD. We have discussed these things with Nithin in email but let's add an update here too. The driver IC is custom logic in a FPGA so it is not some part number for which you would find a datasheet from somewhere else. The use of FPGA gives the board the flexibility of being able to customize the interface and features based on what is needed for the application. 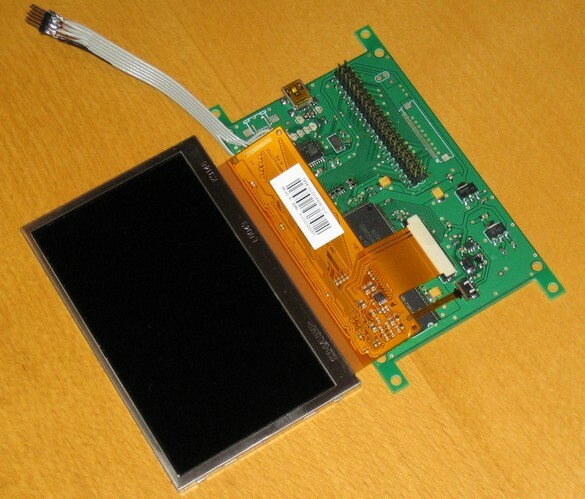 The Sharp LCD part number that has been used for these prototypes is LQ043T3DX02 but it is possible to make boards that fit other displays also. But i also want to know whether do u have any other board interfaced with a 3.5 inch LCD. A version of the SPI043 board customized for some specific 3.5" panel is something that could be discussed. SPI interfaced is what I am looking for, However I got some of these screens: http://www.rayslogic.com/Propeller/Prod ... isplay.htm They are 60 pin wide printed cable and the Sharp screen is only 40 pin wide.